With a new year come new resolutions made in the hopes of making oneself become more… active. Be it in mind, body or soul, I bet more than one of you had decided that this was the year you would do a 365 challenge. It is a long, long challenge. I should know, I completed one with Sophie a while ago, and failed one with Eden. 365 challenges seem simple enough – take a photo of something or someone every day for the duration of a year. 365 photos, the commitment to both take a photo and to upload a photo. That’s where I fell behind a bit. And then more. And more. And more. Because it is a commitment and I think that anyone who makes it to 365 is awesome, amazing and kinda an inspiration. Even if all you do is take photos of your Blythe with your textbooks while you’re busy studying, you still took a photo and shared it with the world. 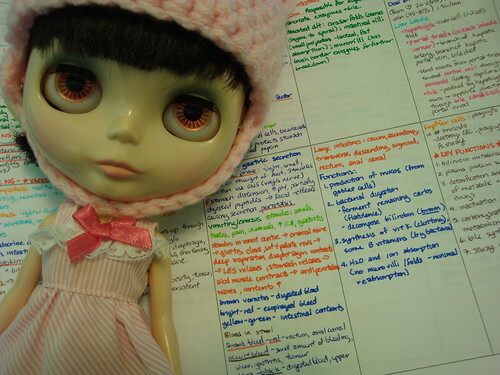 I used that as an example because I took many photos of my Blythes with textbooks. And homework. And possibly even a few with my stethoscope when it was new and shiny to me. 365 photo challenges are hard. But there are a lot of options out there! There are some challenges where you take photos of the same thing every day (like 365 Days Blythe) and others where it’s okay to change things up (such as Kenner 365). 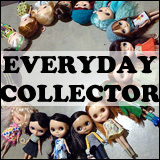 If daily photos aren’t your thing, there are weekly challenges available too, like 52 Weeks of Kenner Blythe. Much like a marathon, the difficulty doesn’t lie in the beginning, but in middle and end. When I started my 365 project with Eden, I was very energetic about it, very eager to do it right and actually upload photos on time. Then I fell behind on uploading, then taking photos, then finally admitting that I was out. The beginning is easy. It’s when you have the notion of taking on such a task to begin with and you don’t realize the effort that it takes to perform such a long-term project until you’re further in. No matter what photography challenge you decide to undertake, remember that it is an impressive feat no matter how far you end up. And also remember that it’s okay when other priorities in life take over – nobody’s going to be any less impressed with how far you’ve come when it comes down to it. Life comes first, a photo a day can wait. Yeah, between my health (or lack thereof) and my family/home responsibilities, I’d be more on board with a project-a-week type of challenge, rather than doing something every day. I would think the results would be much more imaginative, too. Some of us have so many toys and props on hand that daily challenges are a breeze. I’m somewhat of a minimalist and would have to prepare more. I’ve never seen weekly challenges, though, and I don’t own any Kenners, sadly. The beauty of challenges is that you don’t need to follow what others are doing and make up your own! 🙂 You can definitely define your own goals to what fits into your life. I am in for my third round of 365. I think it depends a LOT on the girl you choose (if you do a challenge that only allows one)…my 365 with Cassie (before I had a toddler and worked a ton) was more difficult than last year with Pocket. For that reason I chose Pocket again. It is also WAY easier if you start at the beginning of the year…your number photo lines up with the dates! One thing that has made a big difference this year from last? I have a smart phone that can upload my pic right away! No more camera cords and manual uploading. 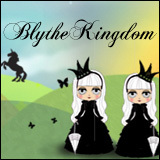 Good luck, everyone, on your various Blythe photo projects! 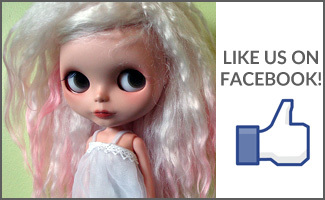 I’m on day 56 of 365 Blythe. It was easy at first and fun. Since then, I have had days were I resented it! Lol. I’m lazy by nature, so this is a monumental challenge for me. Its also tough when I know I’m not giving it my all and just taking a boring picture to meet my quota. However, I realize that some pictures are going to be better than others…and I’m ok with that!